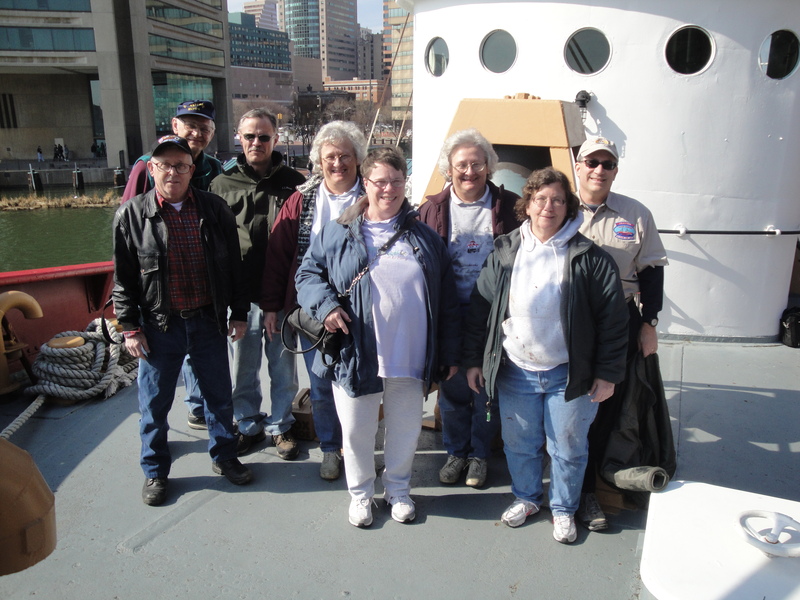 Workday:Historic Ships of Baltimore March 23, 2013 – Chesapeake Chapter U.S.L.H.S. 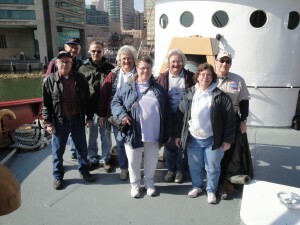 Our first workday in Baltimore for 2013 was on a brisk spring Saturday in March. Volunteers attacked many of the tasks on the work list provided by Greg Krawczyk. 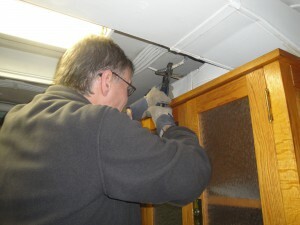 Some more repair work was done on the screen door of the Captains cabin. 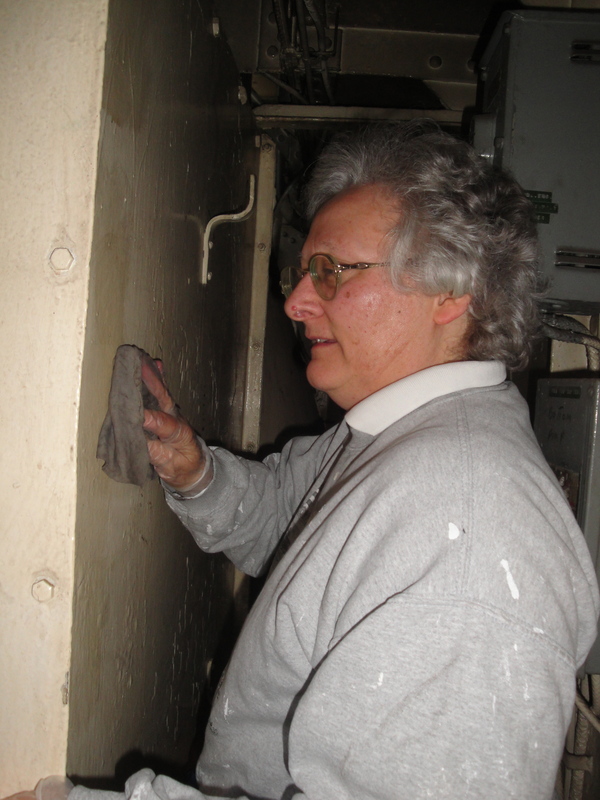 Several of the switches that will be installed were buffed and painted. The electrical wire running from the galley to the wardroom pushbutton was removed and then replaced with new wiring. 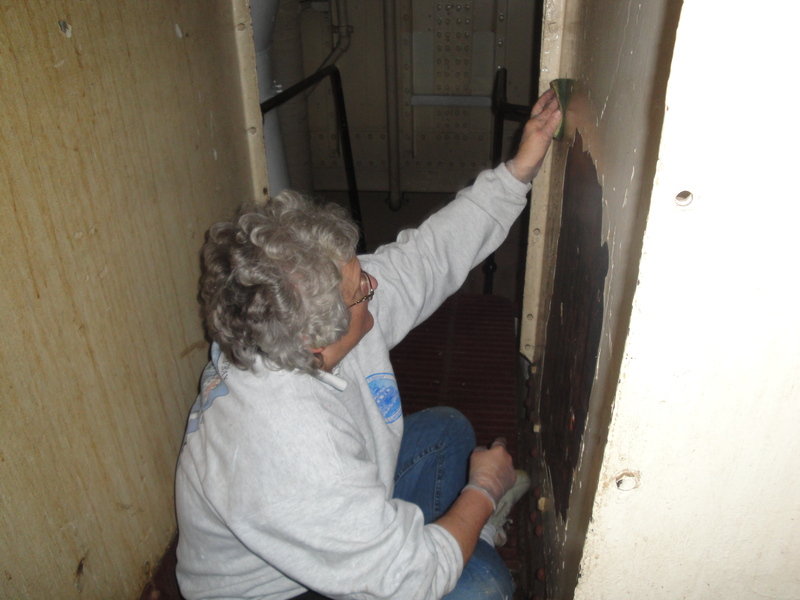 The final scraping was done on engine room on the upper level of the Fidley. The lower area was cleaned and prepped. The priming was almost completed on the upper section and was begun on the lower half. The air conditioning filters were inspected and cleaned. Additional electrical work was also done. 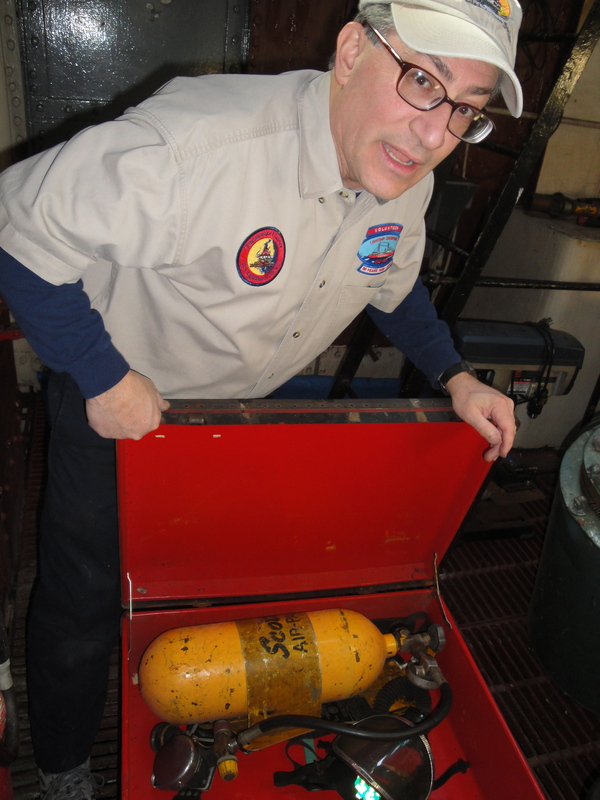 As the day closed volunteers got a glimpse of some of the ships firefighting equipment discovered in one of the many corners of the ship. Greg explained to us how it all worked. It was a productive and fun workday. Fire fighting equipment on lightship. 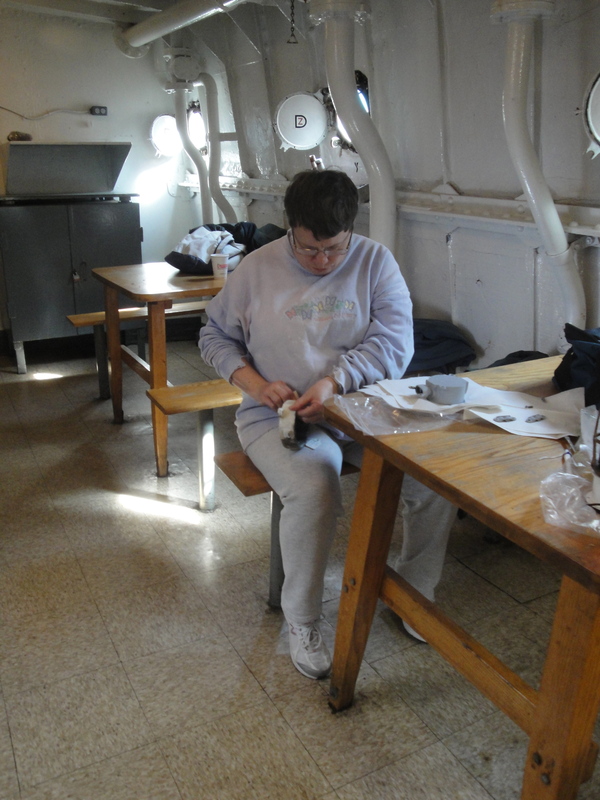 Alma working cleaning up some of the electrical plates. 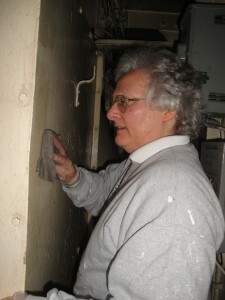 Paula prepping walls of fidley. Lauren prepping walls of fidley.